British Labor leader Jeremy Corbyn was "bored, disinterested and condescending" when he met with Jewish leaders last month to discuss the anti-Semitism that engulfed his leftist party. This is just one of the damning observations contained in a leaked report of his meeting with the Board of British Jews (BoD) and the Jewish Leadership Council four weeks ago in his Commons office. The Labor leader is also described as having no "emotional or intellectual ability". to understand their demands for more action to solve the problem. [Mr Corbyn’s] Body language was hard to read. He was not very lively. Maybe it was thoughtful or bored and uninterested. He answered in a monotone manner with prepared statements. It indicated an emotional, political or intellectual inability to improvise appropriate responses. Most of the time he had his chin on his hand and a face between skepticism, concentration and non-interest. 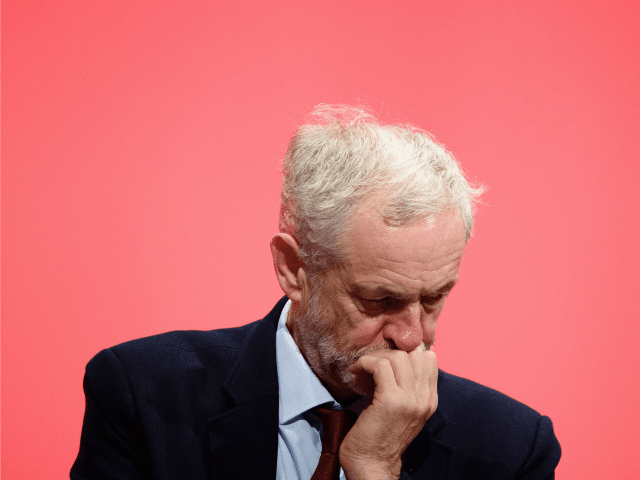 Polling supports this analysis, They revealed that British Jews have left the Labor Party since the election of Mr. Corbyn, and a recent survey documents that four out of five believe that Labor has anti-Semites in its ranks. The criticism comes despite a 2016 Labor Party poll headed by Shami Chakrabarti, which found no evidence of institutional anti-Semitism within the Labor Party. Their report led Jewish community leaders to call the results "whitewash" and "fraud." Chakrabarti was nominated for a peerage a few weeks later by Corbyn. A Labor Party spokesman responded to the Posts report saying, "Jeremy made [at the meeting] his absolute commitment to eradicate anti-Semitism from our party."